These Old School Locker are available on www.buyusedlockers.com where they have a huge selection to choose from if we need additional supplies. These old school lockers are ideal for students and even employees. Put these in your school or employee break room for a safe and convenient way to store your valuable items. Each can be locked with a built-in key or combination lock or a removable padlock. 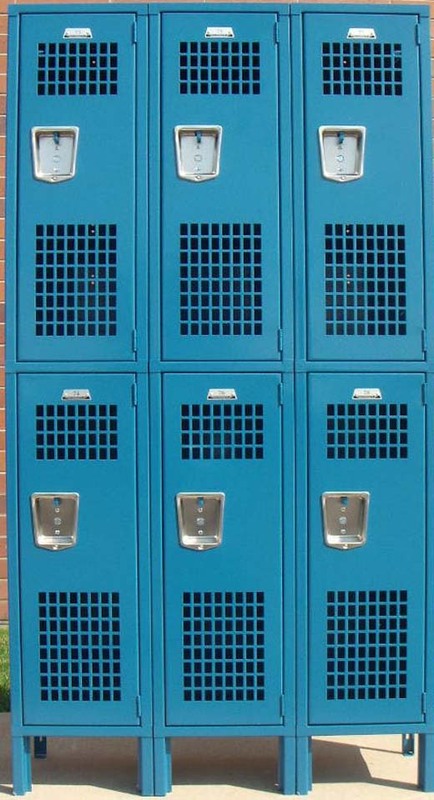 Used lockers provide a safe and economical way to store your valuable items. Each compartment is 12" wide x 15" deep x 36" high. The columns are 82" high overall including the 6" legs and sloped top. These lockers also include front and end bases. They are a bit older but still function normally.